Many people disregard the power of Touch Bar shortcuts just because they’re not willing to customize the shortcuts. If you’re among that group, how about using that OLED strip in place of the function key row for something universally useful, like the Dock? At first, I couldn’t care less because I’m one of those people that likes to position their Dock vertically alongside the lefthand side of the screen, which has some obvious advantages. But if you prefer to use the Dock in horizontal orientation, be sure to check out an app called Pock by Italian developer Pierluigi Galdi. I like to keep my desktop tidied up by setting the Dock to automatically hide and show on demand. 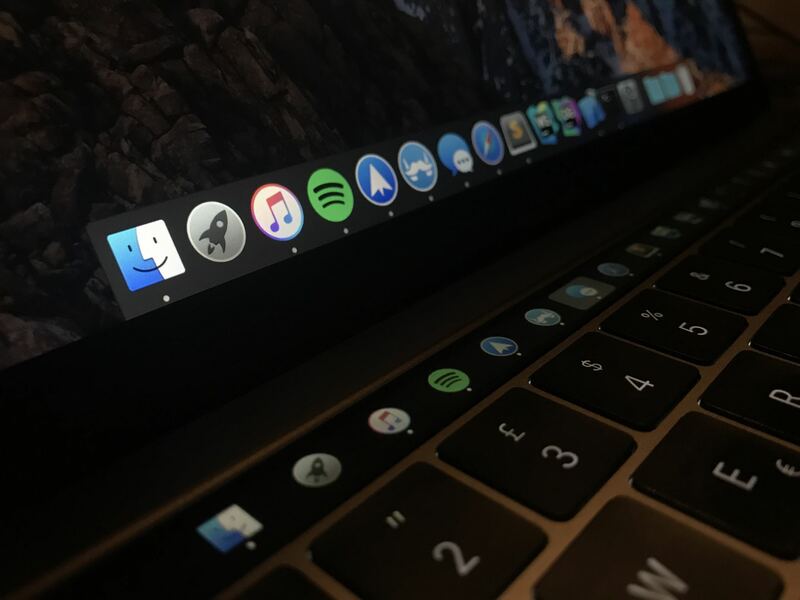 Now with Pock, I can actually place the Dock inside my MacBook Pro’s Touch Bar to maximize the available screen real estate. Pock supports badges, meaning you won’t miss any notifications. Thankfully, the developer has left the Escape button intact so you don’t have to hide Pock to access system functions. The app currently has some bugs that are being squashed as we speak, but none of them is a deal-breaker. But Pierluigi is working on a massive new update with lots of performance improvements and feature enhancements. One of them is widgets. You’ll be able to see the Now Playing widget information on the Dock in your Touch Bar complete with gestures for media controls. Aside from the Now Playing widget, the developer has promised widgets for status information and various toggles. The Status widget will provide an at-a-glance overview of important system information that matters to you, like the current time, Wi-Fi, battery charge and so forth. You’ll be able to customize what gets shown by this widget. And lastly, the Control Center widget will let you quickly adjust the brightness or volume similar to Apple’s default set of system controls found on the righthand side. So go ahead and download Pock if you’d like to hide the Dock and use your Touch Bar instead to get more screen space. One final tip before we go: put the most frequently used apps to the Dock’s lefthand side so you don’t need to slide across your Touch Bar to get to the required app (I didn’t do that because I predominantly launch apps through Spotlight. Pock is available free as a direct download via the developer’s website.